Nowadays almost everything that you can think of can be technologized and electricized along with the rapid development of fast-changing technologies and constant birth of brilliant ideas. New technologies are gradually taking over your job at home, to be more specific, various household tools are beginning to be used in a fully or semi-automatic way in lieu of being used completely manually like the old days. 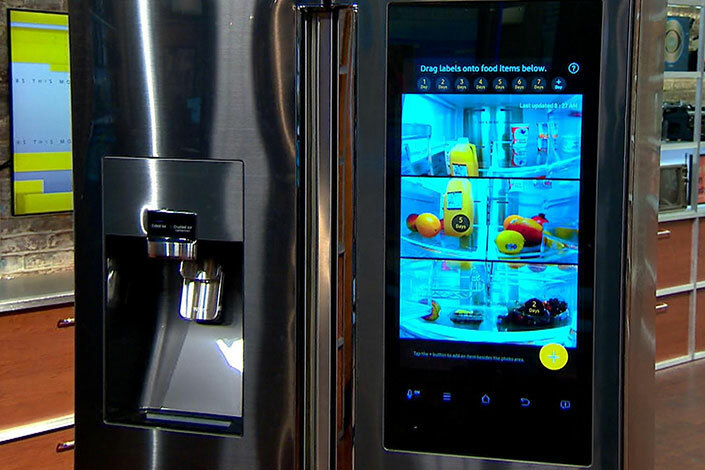 Smart household tools are definitely the best helper for housewives, letting them do less, setting their hands free for other things or just simply allowing them to have the time for some fantastic television shows and all. Housework is usually miscellaneous and toilsome. 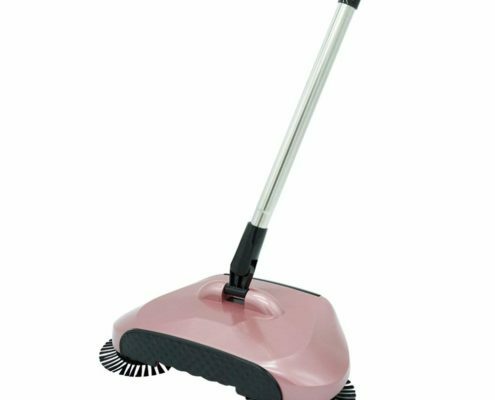 Since you have got some useful smart household tools to increase the efficiency, you should just seize the opportunity and let the tools do the job for you. Let’s see the top 6 best smart high-tech household itmes that stop housewives’ complaints. 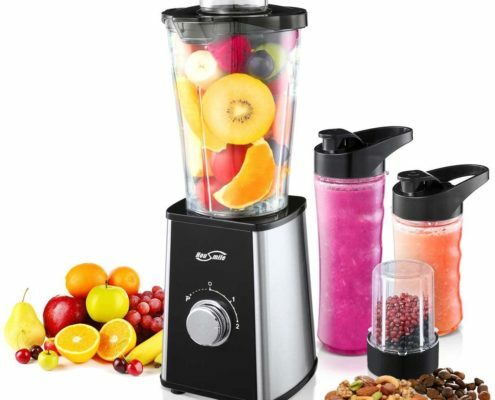 This juice blender is believed to be one of the most helpful tools for blending fruit juice for the whole family. First you can see it has a large capacity, including a household bottle (the original bottle), and 2 comparatively smaller bottles for travel purpose. This Housmile Blender is designed to blend almost all kinds of fruits and vegetables for yummy nutritious protein shakes and green smoothies. It’s designed to be highly safe. Made of BPA-free plastic, it has more reliable details that ensure health and safety, such as the drain hole designed to avoid short circuit, the safety switch for protection of improper installation. Moreover, it has a big cooling fan built in to cool down the motor for greater efficiency. This smart household item you should take seriously because it works greatly for mixing meat and other food. This burnished metal flat beater and and 6-wire whisk will help you mix, knead and whip ingredients into culinary masterpieces quickly and easily. And for even more versatility, the power hub fits optional attachments from food grinders to pasta makers and more. The 6-quart stainless steel bowl with comfortable handle offers enough capacity to mix dough for 13 dozen cookies, 8 loaves of bread or 8 pounds of mashed potatoes in a single batch. The bowl is also dishwasher-safe for quick and easy cleanup. 67-Point Planetary Mixing Action features 67 touch points per rotation around the bowl for thorough ingredient incorporation. 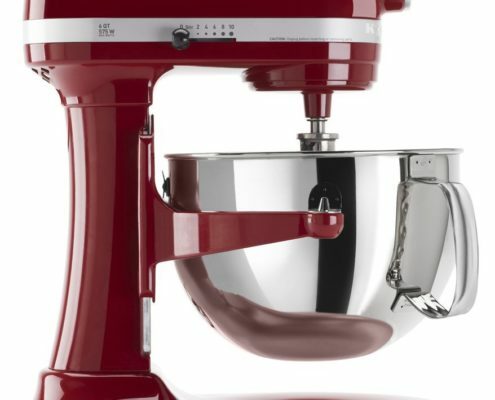 The beater, dough hook or wire whip rotates around the bowl, giving incredible bowl coverage for comprehensive mixing. 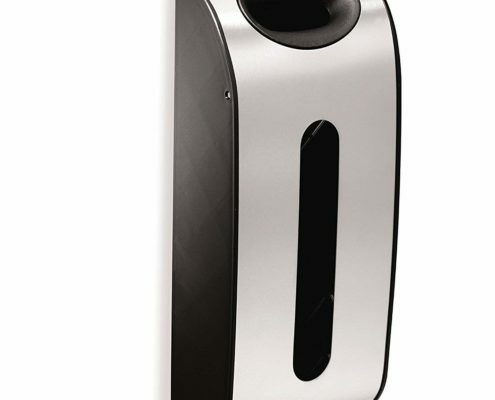 This smart grocery bag dispenser is made of brushed stailess steel for the good-looking design. It’s a wall-mount friendly bag dispender as you can easily mount it on a wall or inside a shelf for convenient, easy access. This grocery bag dispenser is able to store 30 plastic grocery bags. This user-friendly dispenser is easy to use, you can imply tuck grocery bags into the top opening, and pull them out from the wide dispensing area on the front of the holder. Then you can fetch your grocery bag most effortlessly. This electric deep fryer is a great money-saving device that uses just 4 cups of oil to make 4 big servings. It stores oil to use again and again. Smart as it is, you don’t need to set any controls. 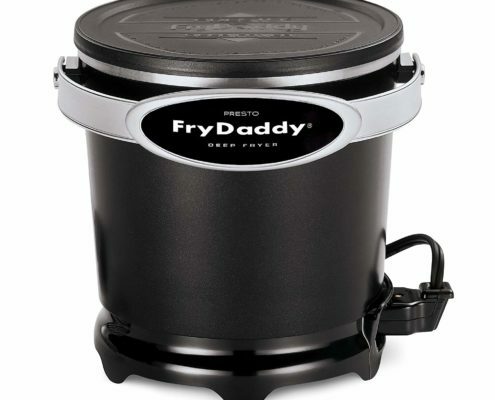 The deep fryer is able to maintain the perfect frying temperature automatically. This electric deep fryer is designed with non-stick well-finished surface for both inside the outside, making it extremely easy to clean. This toaster is able to toast 24% faster than a leading toaster oven and reheats frozen chicken nuggets 28% faster and uses 73% less energy than a conventional oven. This is an advanced multifunctional appliance, working as a toaster and an oven with a compact, small size. The top slot works like a traditional 2 slice toaster. It features automatic toaster shutoff. 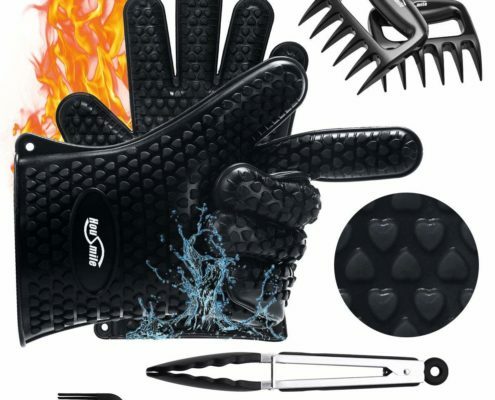 This Housmile Barbecue set includes one pair of barbecue gloves, one barbecue brush, one stainless steel tong and two bear paw shredders. These barbecue accessories will help you enjoy delicious barbecue meat, vegetables and other food more easily. The highly heat-resistant silicone-made glvoes fit most hand sizes because of its flexibility. The gloves can stand heat up to 500 degrees F. The meat shredders are nicely designed to be a bear paw shape for easy shredding and carrying in hand. The barbecue tong is made of durable 304 stainless steel with a unique button ring in the handle part.